The plaque (green, not blue) ceremony in Bristol on the 23rd October went ahead in the rain without mishap. 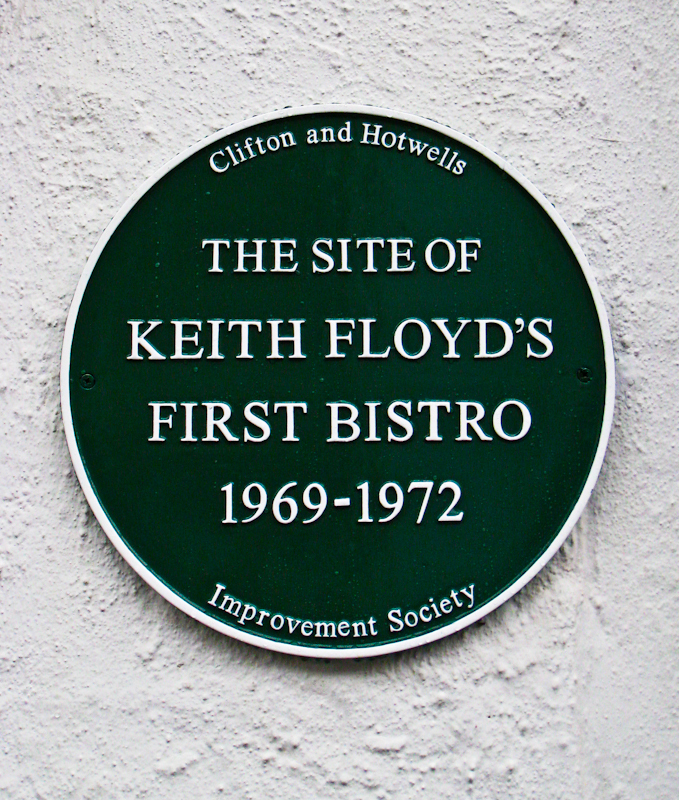 Clifton and Hotwells Improvement Society had arranged for Floyd’s commemorative plaque to be placed outside the Clifton Kitchen even though the usual requirement for the honour would be age in excess of 100 years. 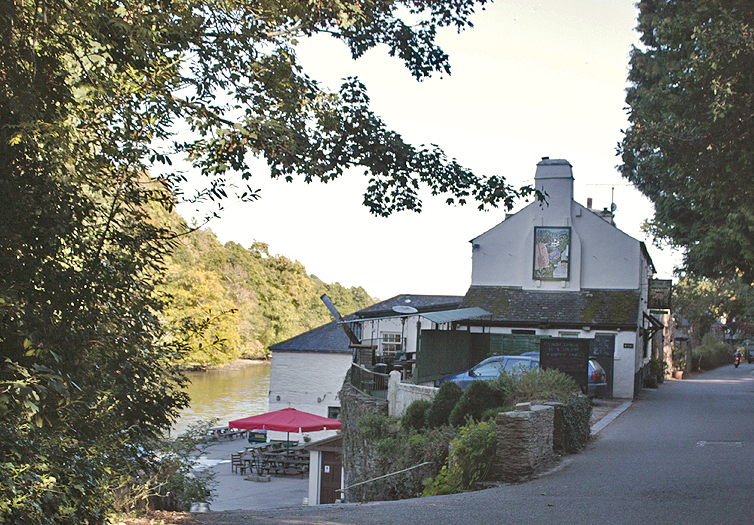 Barry Paine, well known broadcaster, writer and producer of wildlife programmes and Richard Hope-Hawkins, acclaimed broadcaster, writer, photographer, arts correspondent and food critic, who unveiled the plaque, were just two of Keith Floyd’s old acquaintances who gathered at the Avon Gorge Hotel afterwards for reminiscences and wine. Unfortunately no chefs turned up as they were all otherwise engaged. 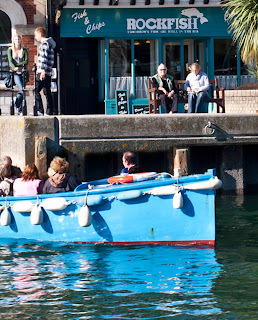 On the previous weekend five of us paid a visit to the foodie town of Dartmouth in Devon where the renowned chef Mitch Tonks has two of his restaurants – The Seahorse and The RockFish Seafood and Chips. After a memorable meal we chatted to Mitch who seemed very supportive of the KFMP but I believe he thought the statue would be sited in the Embankment park in Dartmouth – perhaps we should relocate the project!! 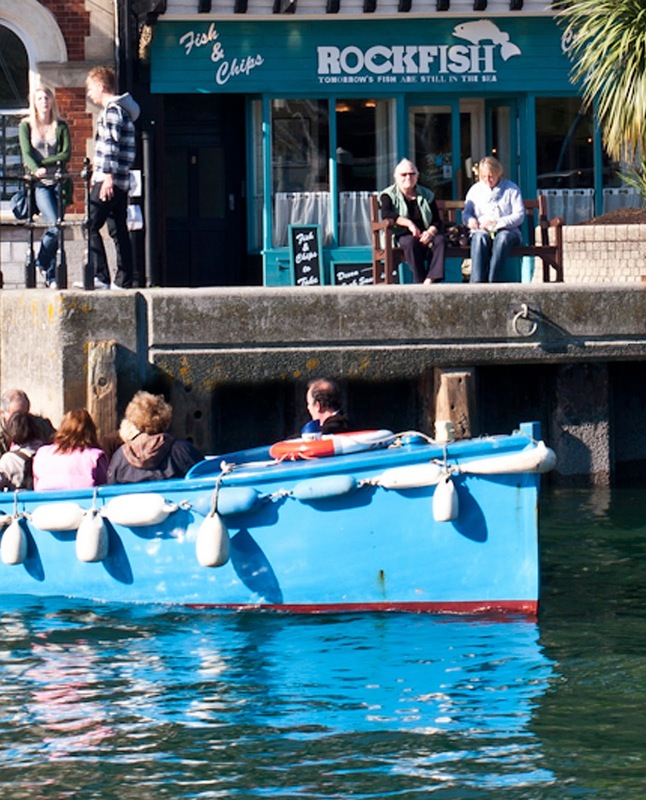 The RockFish Seafood and Chips - Dartmouth. The next day, a trip to the Maltsters Arms in Tuckenhay, just a few miles away on a tributary of the Dart. 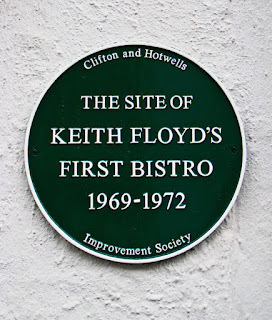 Once owned by Floyd this gastro pub was a little disappointing. An idyllic spot with river frontage in a village setting but I think Keith’s cooking, when he was in residence, would have been of a different class. The search continues for supporters and donations.